During Vancouver Fashion Week I had the pleasure of interviewing this young designer to learn more about his vision of French elegance for today’s woman. Trained under couture designer Thierry Mugler, Francois produced his first luxury collection in 2000 in Paris and has not looked back since. Today, at 35 years of age,he brings to the timeless elegance of French style a sensualism that features bareskin, transparent lace, strong sexual undertones and more than a hint of fetishism. As a fashion designer, he simply adores women of all ages and loves to accentuate their figures, especially their waists which he accentuates using fine leather corsets. This collection is filled with exquisite French lace, a sensual fabric which produces a singular sensation with it touches a woman’s skin. 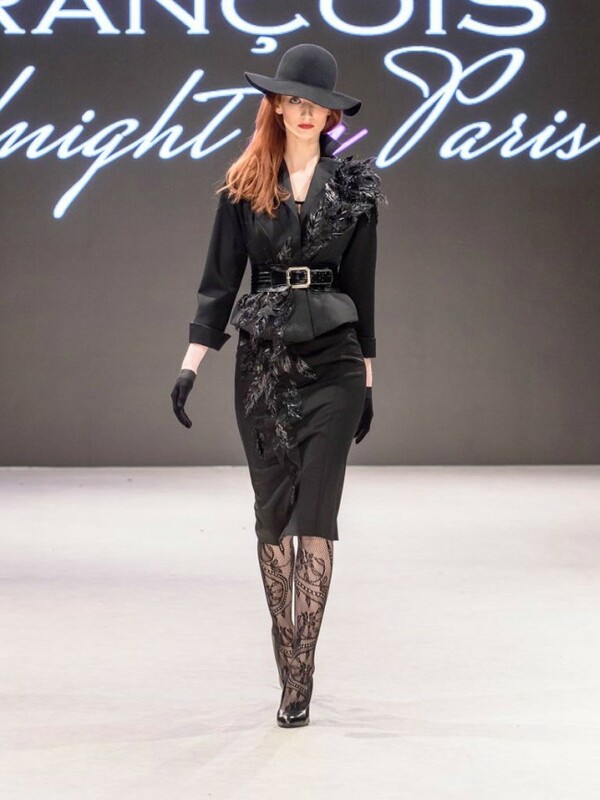 Francois only works with the finest lace produced by French factories, supporting his fellow countrymen and an industry under siege in the era of fast fashion. He says the clientele for his couture collection is made up of many Arabian Princesses as women from the Middle East adore French lace. Interest from Middle Eastern clients began with one custom dress for a Saudi Arabian Princess and soon more Princesses began to show up at his door in Paris. Success came from referrals rather than advertising or social media.